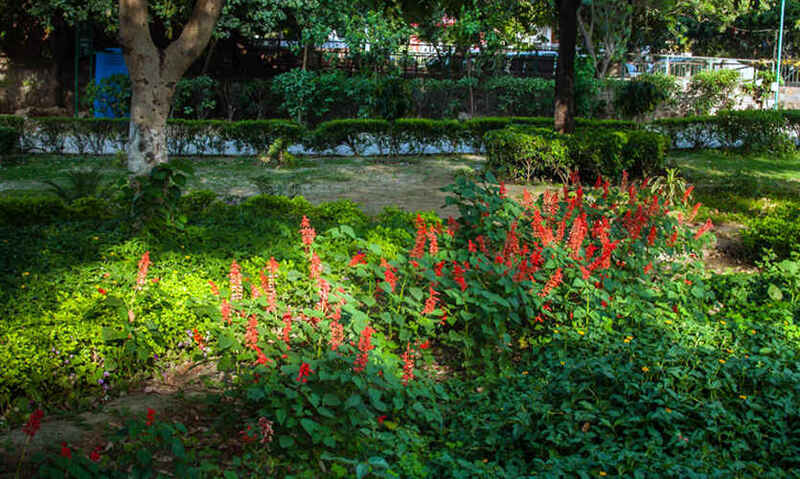 How About A Fun Day Out At The Beautiful & Lush Vijay Mandal Park On Shivalik Road?! There are many DDA parks scattered all over Delhi. They provide a bit of open space and greenery to the tired minds and bodies of the locals yet still some just stand out due to their unique setting or a set of features. Park Vijay Mandal is one such park with its excellent landscaping, large size and picturesque setting. 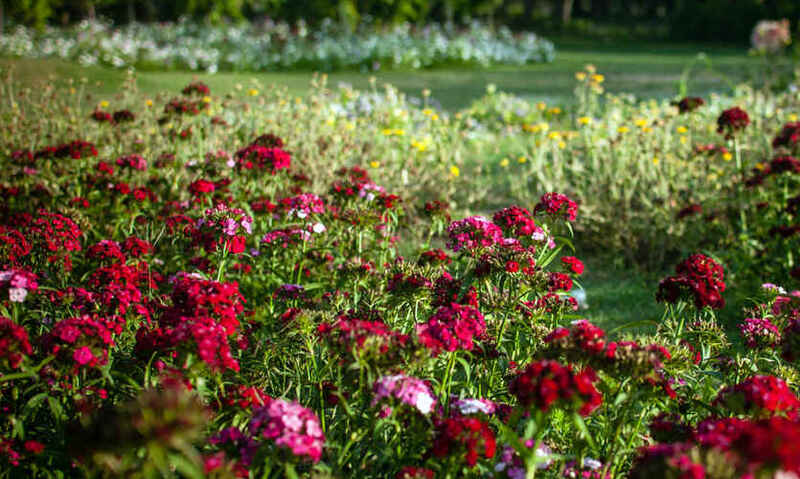 The park covers a large stretch surrounded by the Begumpur village, Sarvodaya Enclave and the road that goes through Shivalik. It is not regularly shaped but the narrower stretch on the west mainly consists of jogging tracks, swings and some installations for children. The main portion however is much larger and has been carefully landscaped with colourful flowering shrubs to add to the attraction. Partly what adds to the charm of this park is the gigantic, ancient and venerable Begumpur Masjid which lies on the eastern corner of the park where one can see the ancient domes of the famous mosque. Although it now lies neglected, from the distance the dilapidation is not visible and it makes quite a grand spectacle. The rest of the village also lies around the mosque and local children can be seen playing cricket in the park or posing for photographs. The actual monument called Vijay Mandal is a few yards away beyond the mosque. Although the park is named after it, you cannot see that monument from the park. 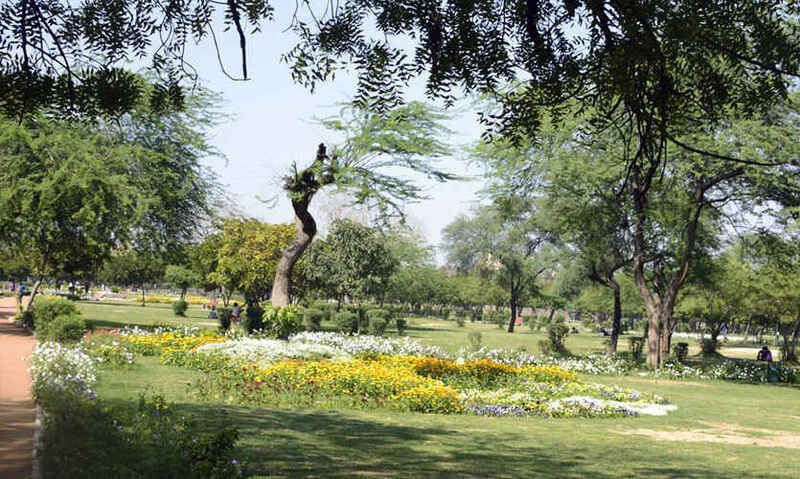 Spring is the best season for enjoying this park just like any other park in Delhi. The flowering season starts by late February and goes on till April. Special care has been taken to make the flowers grow in various patterns and the colours have been chosen aesthetically. 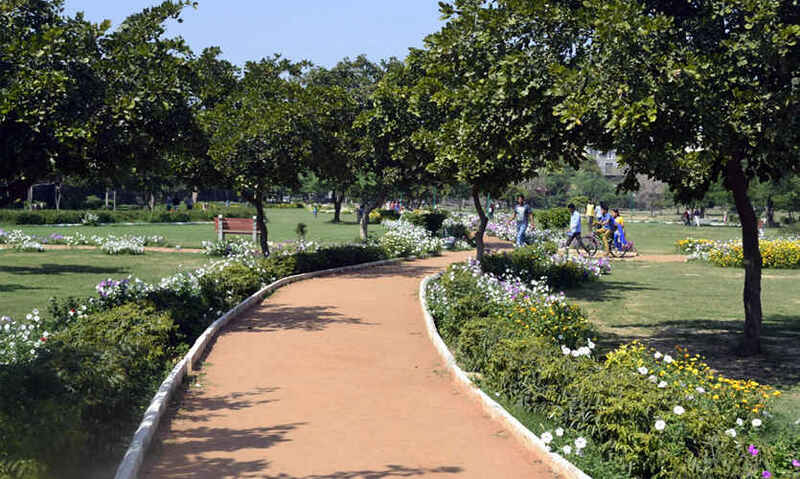 Especially arresting is the view of the jogging tracks, lined with purple and white blossoms on both sides. If you're looking to go for a run, there cannot be a more invigorating place than this. In fact the entire stretch was mostly a dense jungle. The park has been developed only in the last 7-8 years. Remnants of the jungle can still be seen at some spots but the rest of the surface has been perfectly chiseled and turned into a large expanse of green grass. Finding this park is not difficult. It is such a large area that it can be approached from several sides. The easiest way is probably to reach Shivalik locality of Malviya Nagar. The main park entrance is on the main road itself. Otherwise, just find the Begumpur Mosque and the park should be visible from there.